My most substantial collecting area, I am working on getting www.womenphilosophers.com up. It’ll include both my own research, an in-progress list of American women philosophers, and links to tons of resources. Eventually all my holdings (that aren’t under copyright) will be digitized, if they haven’t been already. Below are pieces I have paid to digitize (if I got it for free, I’ll always make it available for free)! For the ones I put our sums for, if everyone puts in $1, I can (eventually…) recoup that money and put it toward digitizing the next American women philosopher’s dissertation (and/or other works). Then, $1 for each of those, and it can go on and on until they’re all digitized! 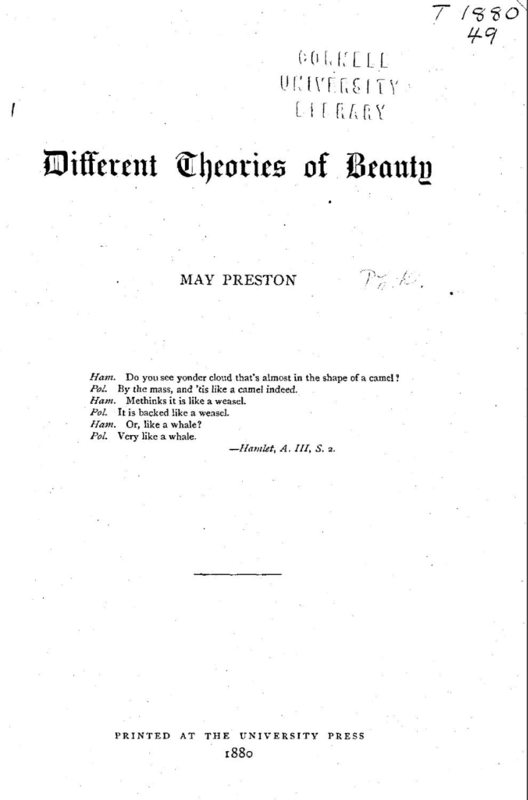 May Preston was the first woman to receive a PhD in Philosophy in the US. The year was 1880 and the school, Cornell University. Her dissertation – and thus the first US woman philosopher’s dissertation – was on Aesthetics. 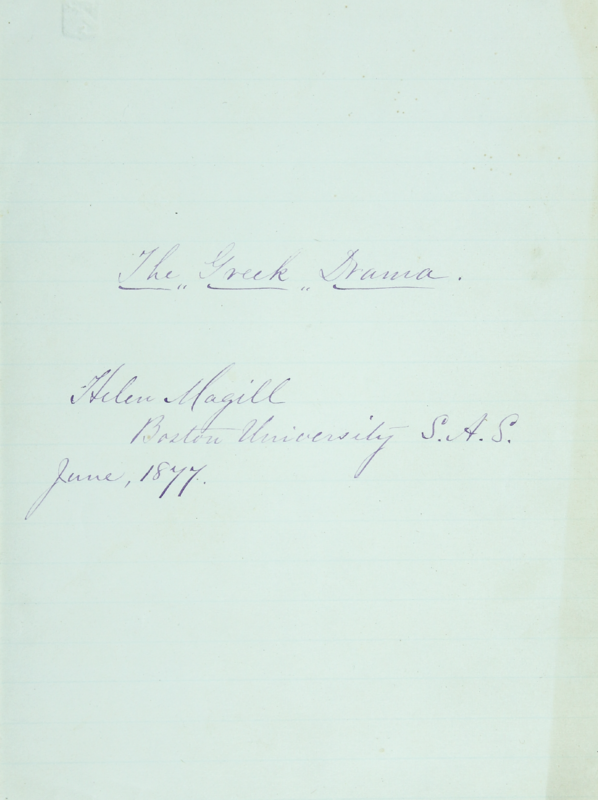 Helen Magill White was the first woman to earn a PhD in the United States. The year was 1877. The school, Boston University. Titled, “The Greek Drama”, her dissertation compares Greek Drama and Greek statute. I am tempted to say that both the first woman in the United States to earn a PhD in Philosophy *and* the first to earn a PhD at all chose to study and write on aesthetics.